As part of a Disney sing-along on the JoCo Cruise. 1. I am mostly on-key! Go me. 2. Check out that dad bod, ladies. 3. It should be clear I have absolutely no shame whatsoever. But is it art? Original photo by Thor Nielsen / NTNU, used under Creative Commons license. Additional art treatments by me. This excited at least a few people, who were hoping that this meant that me and Tyson would now commence to fight. But sadly for those folks, there will be no fighting. 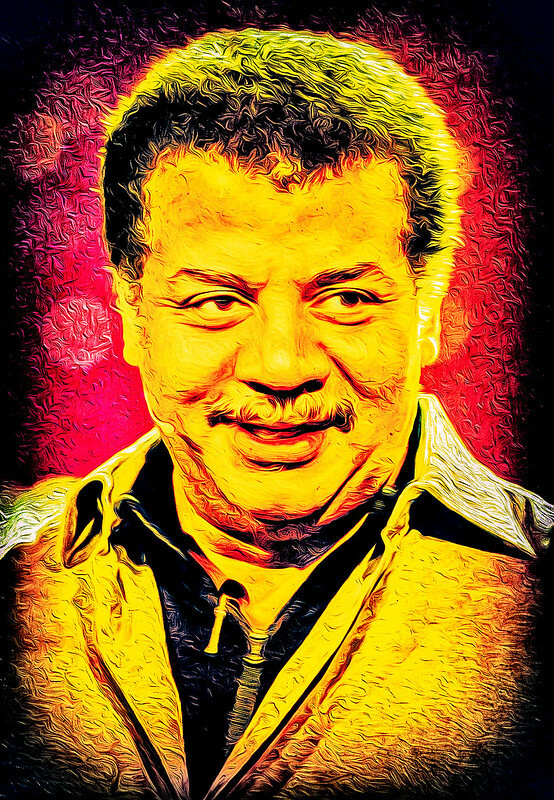 One, despite his Pluto-murdering ways, I am an admirer of Tyson for his tireless championing of astronomy and astrophysics and science in general. Two, I think Tyson is simply falling prey to a common misconception about both art and entertainment, which is that the former is (mostly) exclusive of and (mostly) superior to the latter. In both cases, it’s not true. To begin, “art” is not a rarified thing, or at least I don’t think it is. It is, simply, the product of the creative exercise. When you write a story or play a song or draw a picture or act on a stage, you are making “art.” Whether it is good art or bad art is another thing entirely — when I write, I can say I am (generally) creating good art, but when I draw, I am mostly creating bad art. But it’s still art, good, bad or indifferent. What makes it art is the act of creative production, not its quality. Likewise “entertainment” is also not particularly rarified. It’s that which aims to amuse and engage people (or more widely, that which amuses and engages people, whether intentional or not). In a basic sense, if you are writing or composing or drawing or whatever with the intention or hope that other people will apprehend and appreciate what you are doing, that’s entertainment. And again, you can succeed or not succeed, depending on your skill and also the interest and taste of the audience. What makes it entertainment is the intention, not the quality. It’s worth pointing out here that in the cases of both “art” and “entertainment” there are two, mostly unrelated components: The act of the creator, and the apprehension of the audience. I may create art, or aim to entertain, or both, but it’s generally up to others to decide if I’ve done a good job in either case. I have my own internal critic in both cases, who I think usually has a good bead on both. 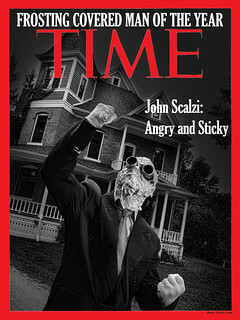 But ultimately the success of art depends on the individual, and their take on the created thing. We can further declare that someone has good or bad taste, or doesn’t know enough to appreciate art, or whatever, and those are arguments that can take us down a long and contentious road. But at the end of the day, apprehension of art is subjective, and you either accept that or don’t. Tyson’s formulation of “art” — that it’s somehow effectively better or more challenging than mere “entertainment,” is not that unusual; it’s at the root of the old question “Well, I know I like it, but is it art?” For the person for whom is this is a serious sort of question, the answer of “Yes, it was art the moment the creator started producing it, and your liking it is valid in itself” possibly seems facile and a little vapid. Likewise, the devaluation of “mere” entertainment, as if something that succeeds in amusing and diverting you, and making you happy, cannot have the value of (or inherently has less value than) something that confronts you and aims to make you think. Well, that seems a bit silly to me. Alt-right trolls aim to “challenge and disrupt my world view” with what passes for their cogitation; it doesn’t mean what they’re doing has an inherently higher artistic value than, say, an essay by Roxane Gay, whose worldview is rather more in alignment with mine. Fascist-aligned punk bands are not inherently more artistic than the Dead Kennedys, who have rather pointed things to say about Nazi punks. Likewise, the one thing “art” has over “entertainment” is not quality, it’s intentionality. Art results from the creative drive of humans, and a purposeful act of creation. Entertainment can be, but does not have to be, intentionally created. I can be entertained by cats playing or by clouds rolling along in the sky, but neither the cats nor the clouds do what they do in the hopes of entertaining me. On Youtube, you can watch hours of logs burning in a fireplace or trains rolling through Scandinavia. It’s entertainment but I think not really art (unless you count pointing a camera at a fireplace to be art, which, meh). “Entertainment” is not a lesser state of “art”; they are separate conditions with substantial but not perfect overlap. Much if not most of what we think as entertainment starts off as art; most art we eventually see is intended to have an audience (i.e., is “entertainment”). The subjective entertainment value of something may not be the same as the subjective “artistic” value of the thing. I can recognize art has been finely crafted and speaks well to an audience, and also recognize that audience is not one with me in it (which is to say, not be well entertained by it). I can likewise recognize that something which amuses me vastly can be something I also find sloppy and junky and not something I’d recommend to other people — or alternately, speaks so particularly to me that I don’t expect others to have the same reaction to it. Also, and importantly, we don’t have to excuse or rationalize or dismiss art that exists within our “world view” (and let me note that I could spend a whole other essay deconstructing that phrase) as “mere” entertainment. One, “entertainment” is not mere — the ability of anything to transport you out of your own worry cycle for even a few minutes is a pretty great thing. Two, that entertainment is (usually) art. And it’s art that is working for you, however it works. Enjoy it and celebrate it. This is why there should be no such thing as a “guilty pleasure.” You shouldn’t feel guilt about enjoying art, whatever it is. Now, what I think Tyson may have been trying to say, and if so is a thing I would agree with him on, is that one’s entertainment and/or artistic diet shouldn’t be only what you already know that you like — it’s worthwhile to make a stretch here and there and try things that you don’t know if you like, and on occasion to learn more about art (of whatever sort) so that when you approach new and unfamiliar art, you have tools to better understand and apprehend what you’ve got in front of you. Always be reaching for the new and always be learning — and as a result, what art speaks to you, and entertains you, will be a larger set than what’s come before. And sometimes you won’t like the art, and won’t be entertained, but that’s all right, too. You’ll know more about yourself through the process. This is why, fundamentally, I don’t need to fight Tyson — I’m pretty sure he and I agree on the important things regarding art and entertainment. We’re just using different words (and definitions of words) to say it. Mind you, I think I’ve said it better here. But then, I’ve just used 1,250 words, and he used a tweet. Today’s Big Idea post is not about a specific book — although Jane Yolen has two, yes, two, books coming out today — but to celebrate a milestone that Yolen has achieved, right now, as we speak. When having two books out in a single day is only the second most impressive thing about an author’s day, you know it’s a pretty special day indeed. But I write what I love to read. I write the books I wish I had had as a child, or want to read as an adult. And yes, I do write a lot. 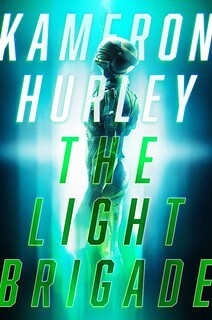 My 365th book is coming out, and my 366th. . .on the same day (today!). 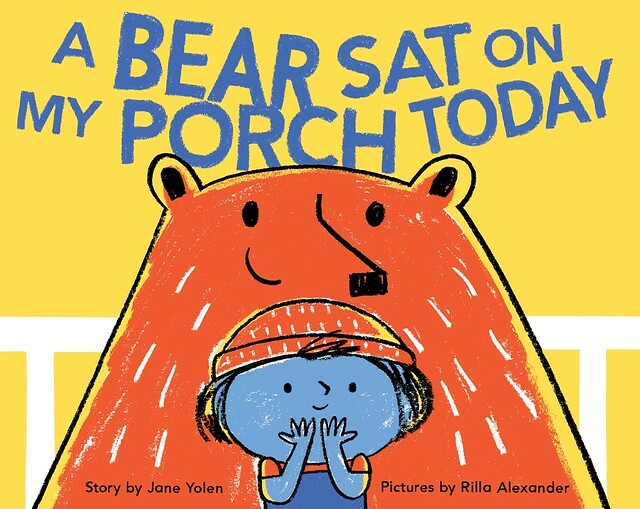 One is a picture book called A Bear Sat on My Porch Today, which is in bouncy rhyme and celebrates a bear that actually sat on my porch in semi-rural Western Massachusetts. But, along the way it becomes a book that also celebrates inclusion and odd friendships, and toleration. The other book is a devastating Holocaust novel hanging from the armature of the Hansel and Gretel folk tale. And yes you may ask if there is a witch who gets shoved in the oven. And I will remind you: “It’s Hansel and Gretel.” To say more would be a spoiler. Those of you who follow the cobbled-together mathematics of calendars will know that the next Leap Year is 2020. By then I will probably have close to 380 books out. I am waving at Isaac Asimov, my old friend, who even in his grave still seems to be producing books. A regular industry, he is. I will never catch up. Nor is that my goal. My goal is what it has always been—write the best books I can, the books I want to read–and get better at writing each time. Why should you care about #Yolen365? Because it’s a fun statistic. We will be celebrating it all around the country. But it will matter to you only if some of them are books you love. Or if they are books that make a difference in your life or the life of a child you know. Oh, and only if they are books that last five years past their year. I am often asked if I write my books the way I put on my shoes, one at a time. The simple answer is No. Or maybe it’s Yes. Actually, I am a juggler of ideas. Any one day I might work on a chapter of a big adult novel, a rewrite (for the 20th time) of a picture book, or wrestle with a couple of poems. That’s because besides being a juggler, I also have a very low threshold of boredom. And I know if I’m bored, the reader will be bored, too. But because of all those wonderful squirrels, I am never in-between projects or stumped. Or (writer word coming up) blocked. If I feel a blockage coming on, I simply spin around and head in another direction. A sniper couldn’t bring me down. It’s just my way of working. It keeps me enjoying the writing. And along the way, somehow, the count got up to 365/366. Why yes, eight hours a night. Every night. I mean where DO you think I get my best new image or manage to find time to work out my plot problems? I am a hearty dream-rover, and I never miss an opportunity to wake up for a sleepy moment to scribble down a new idea. January 16: Meet Me At the Well with Barbara Diamond Goldin (Charlesbridge): feminist revisionist midrash of the stories about girls and women in the Hebrew Bible, for young readers. March 6: A Bear Sat On My Porch Today (Handprint/Chronicle). Mapping the Bones (Philomel/ Penguin). April: Monster Academy with Heidi Stemple (Scholastic): picture book. Mixti-Maxti (Papavaria Press): adult poems about authors. On Gull Beach (Cornell Lab of Ornithology): picture book. Sanctuary: Stone Man Mysteries with Adam Stemple (Lerner): Noir graphic novel, 2nd book in the trilogy. Compass Roads (Levellers Press): a book of adult poems about the Pioneer Valley in Massachusetts where I live that I’ve edited. June 26: How Do Dinosaurs Learn to Read (Scholastic): picture book. Fall: Come Fly with Me with Heidi, Adam, & Jason Stemple, (National Geographic): bird nonfiction with folk tales and poems as well. There are also 12 books under contract, all written, and about 30 others making the rounds. That’s a lot of BIC, a lot of YIC, and a lot of joy in one house. The numbers prove it.